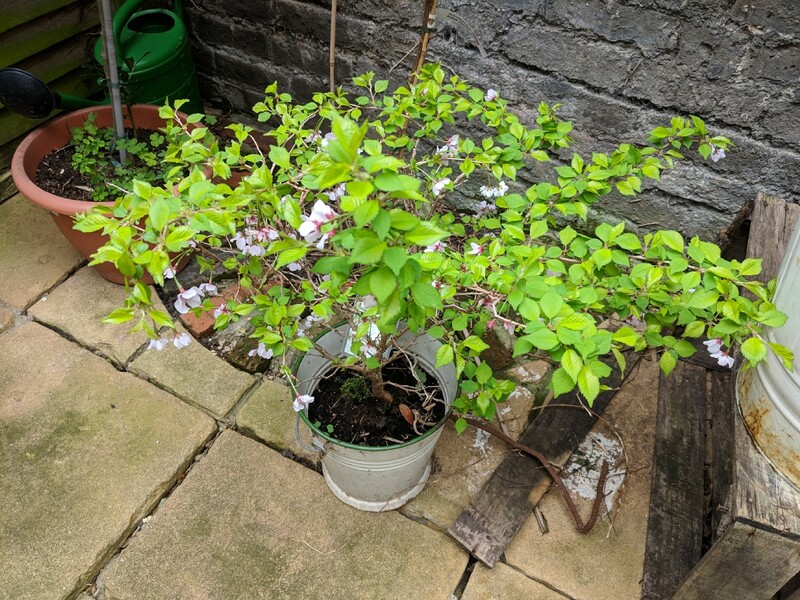 The cherry tree. 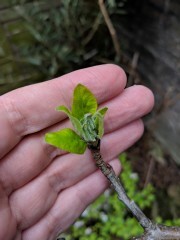 Quite leafy now. 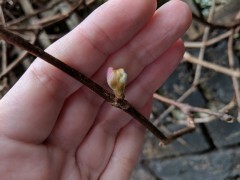 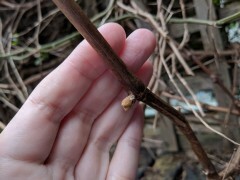 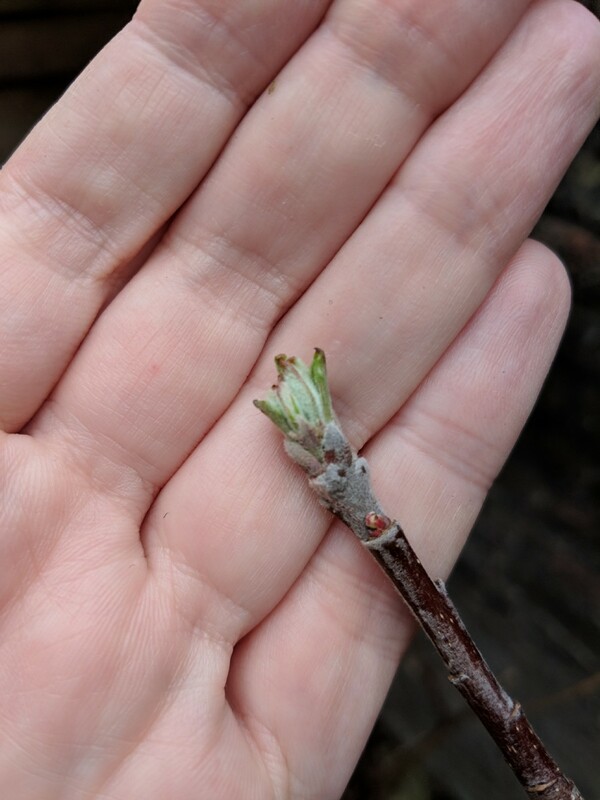 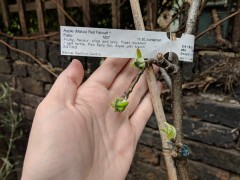 Buds on the grape vine about to burst. 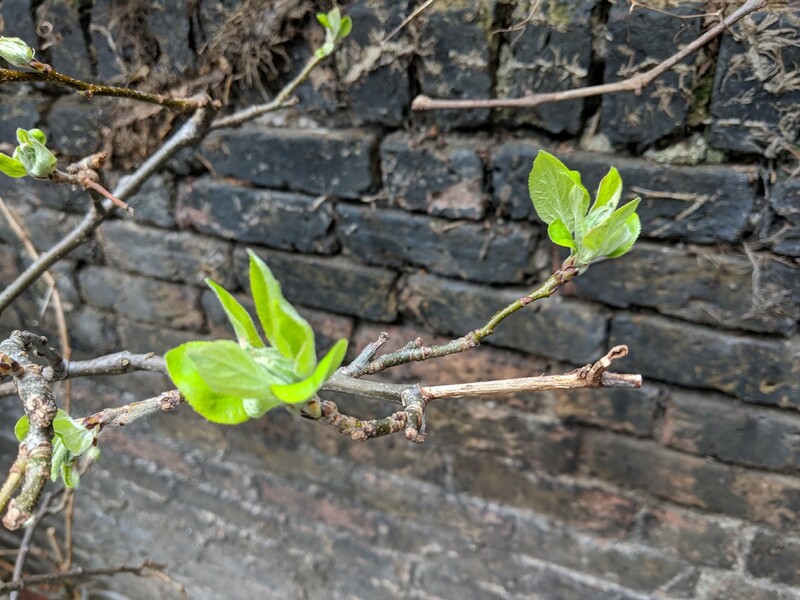 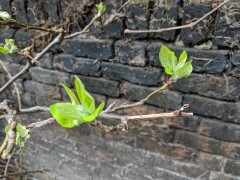 The apple tree quite leafy too - but where is the blossom? 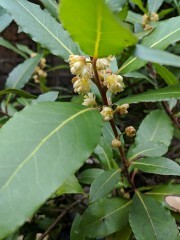 Even the bay tree is flowering. 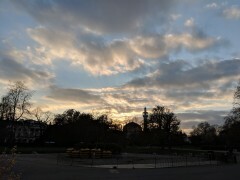 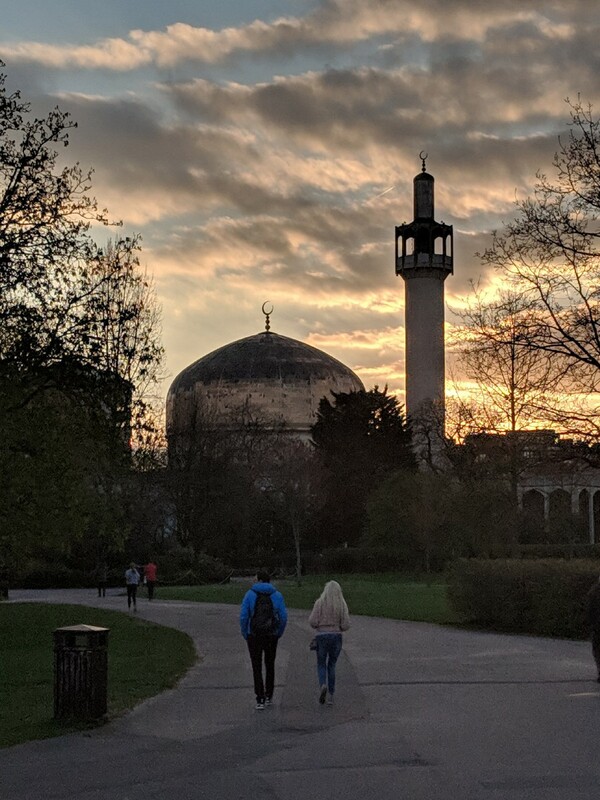 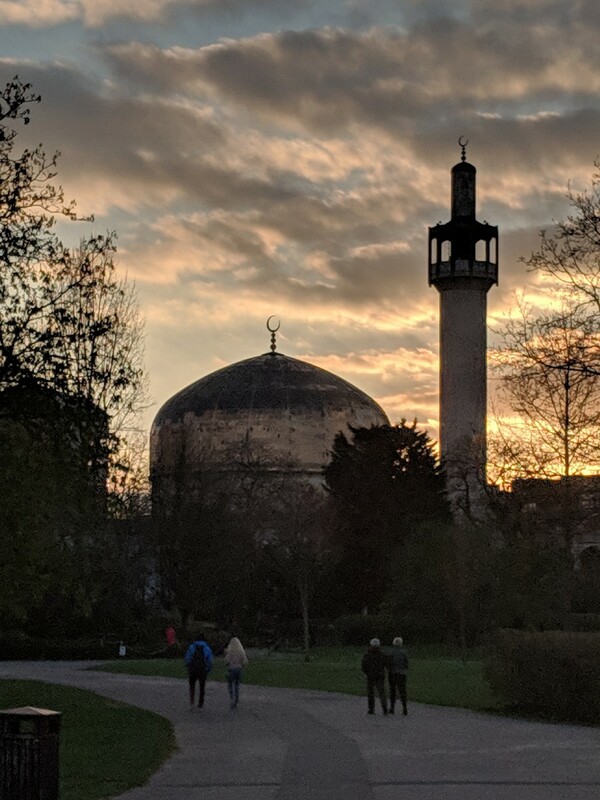 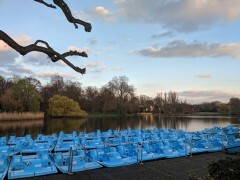 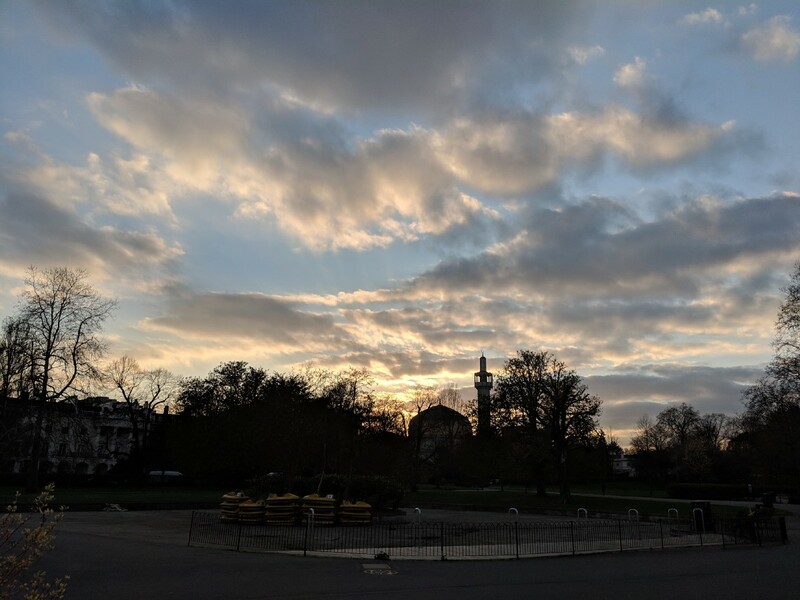 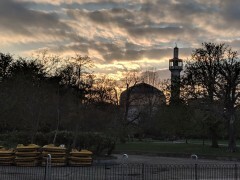 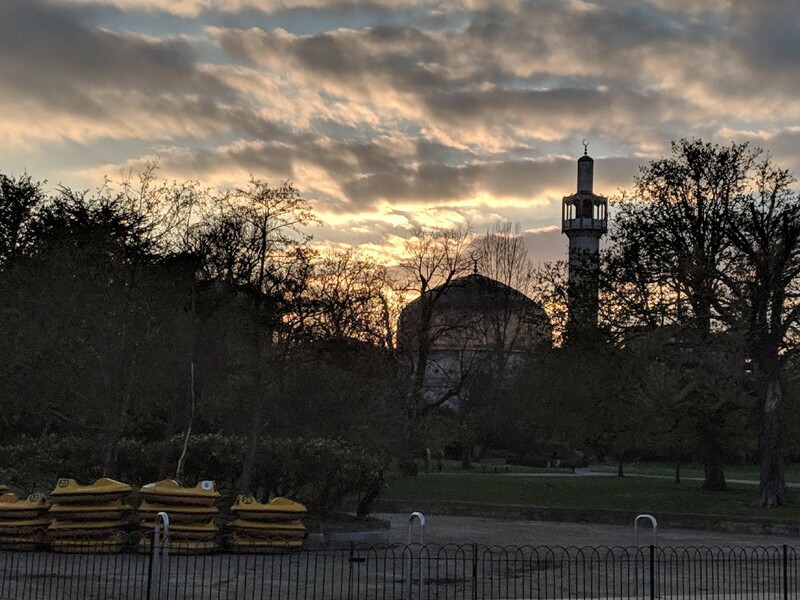 The sun setting over the mosque in Regents Park. This came out quite nicely I thought. 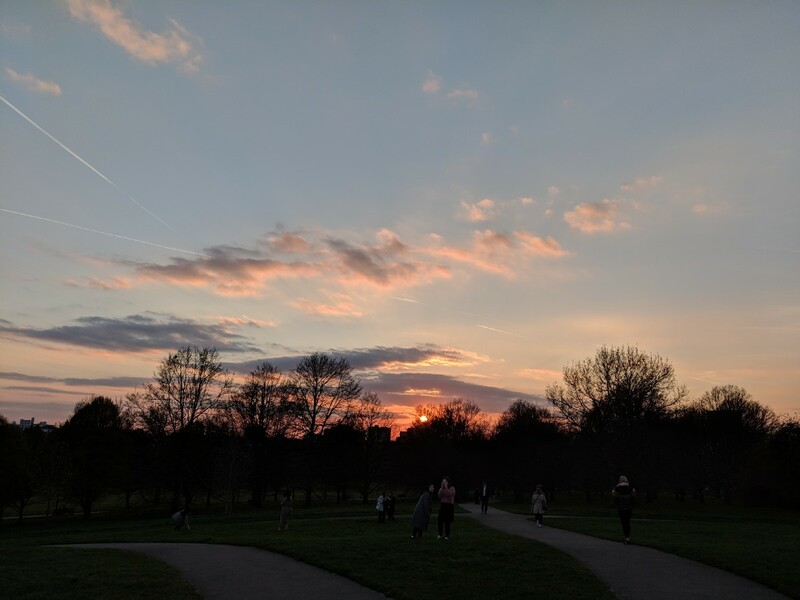 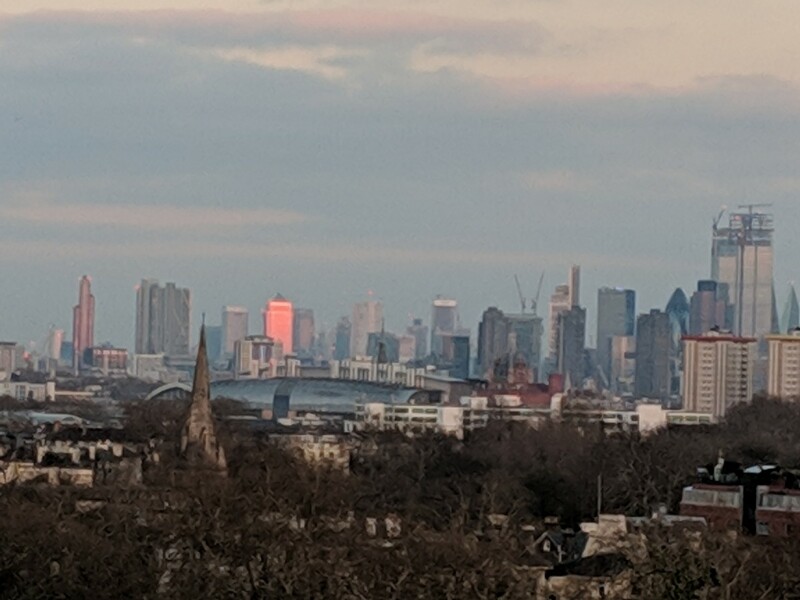 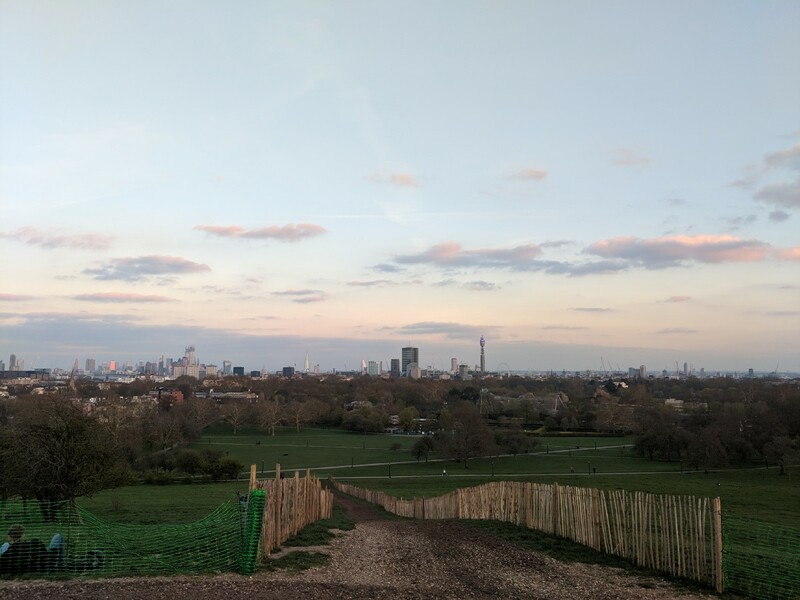 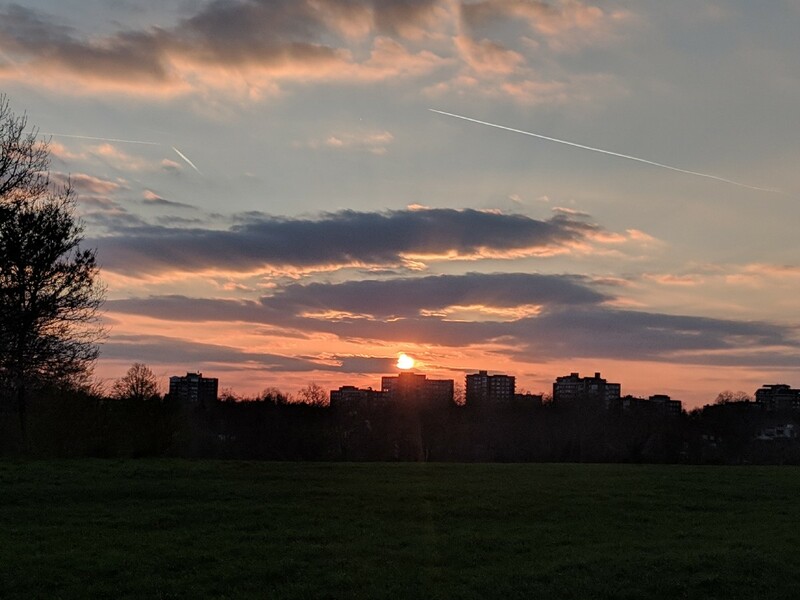 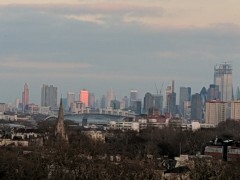 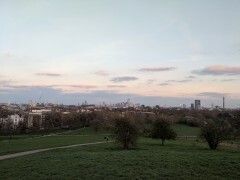 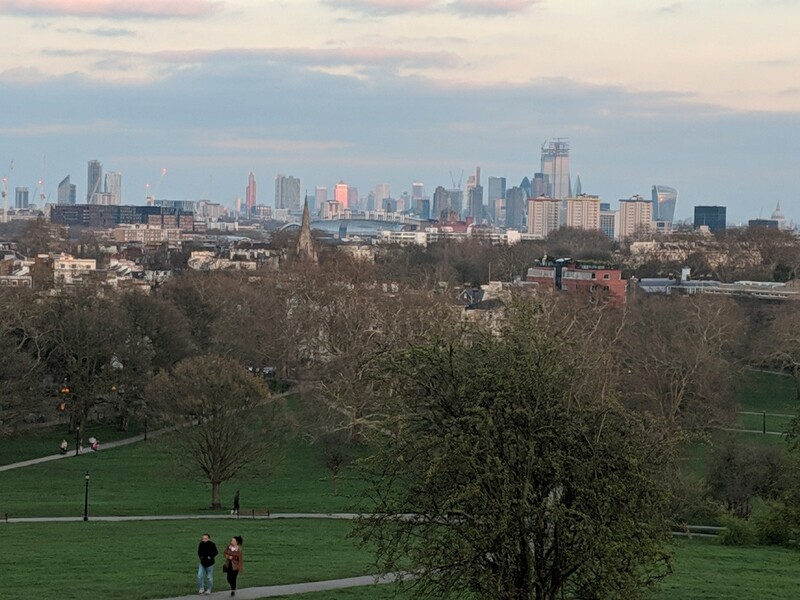 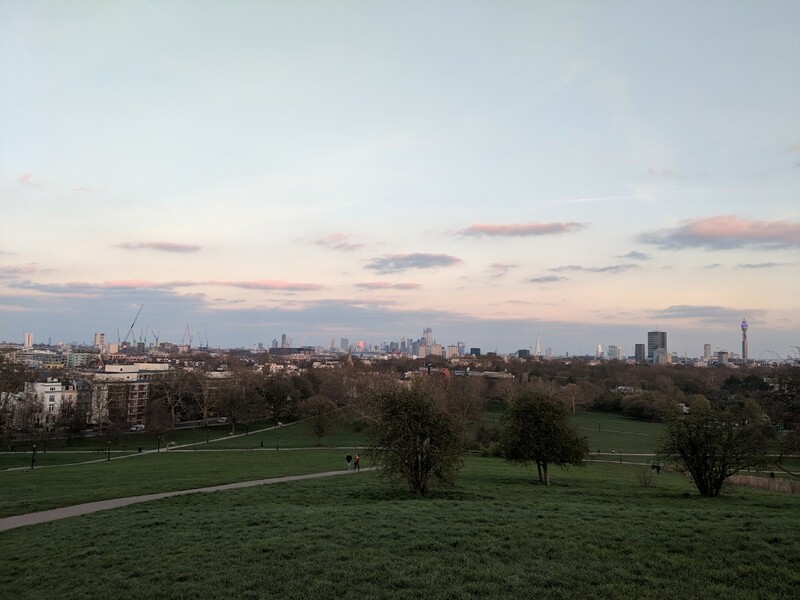 The sunset seen from Primrose Hill. 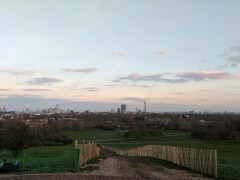 A shame the skyline is not very picturesque in that direction. 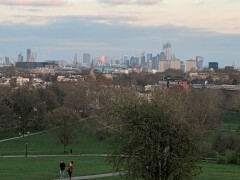 Looking South into central London from Primrose Hill. 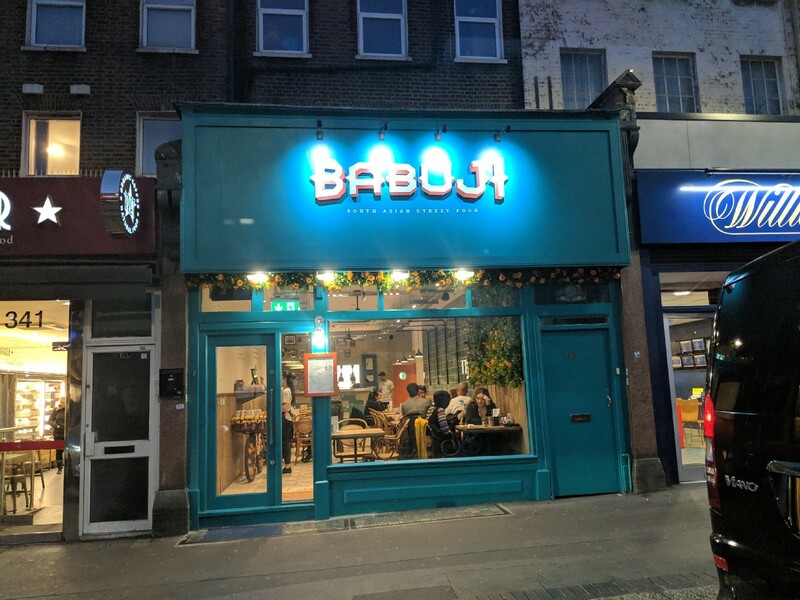 As I passed through Kentish Town I noticed the new South Asian street food place had opened. 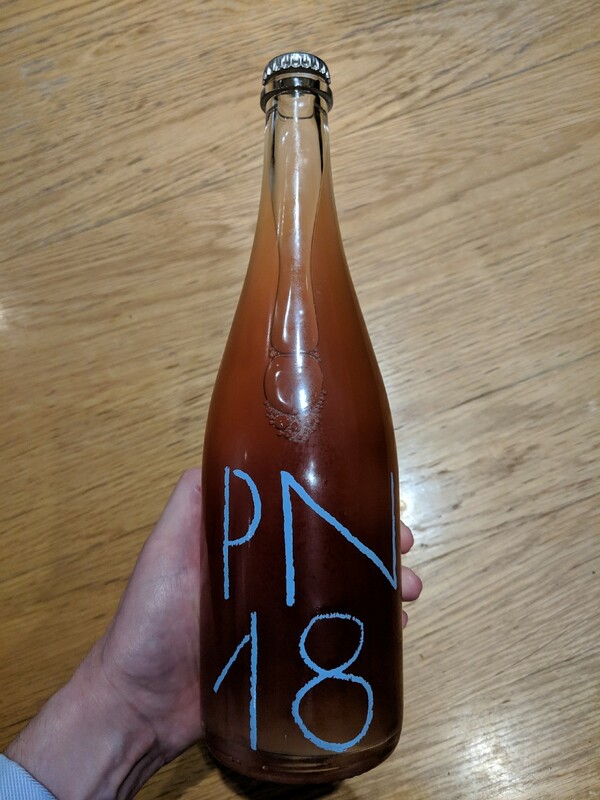 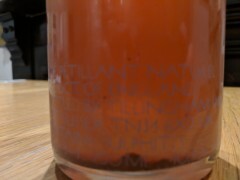 Bought this in Primrose Hill, a "pet nat" English wine. 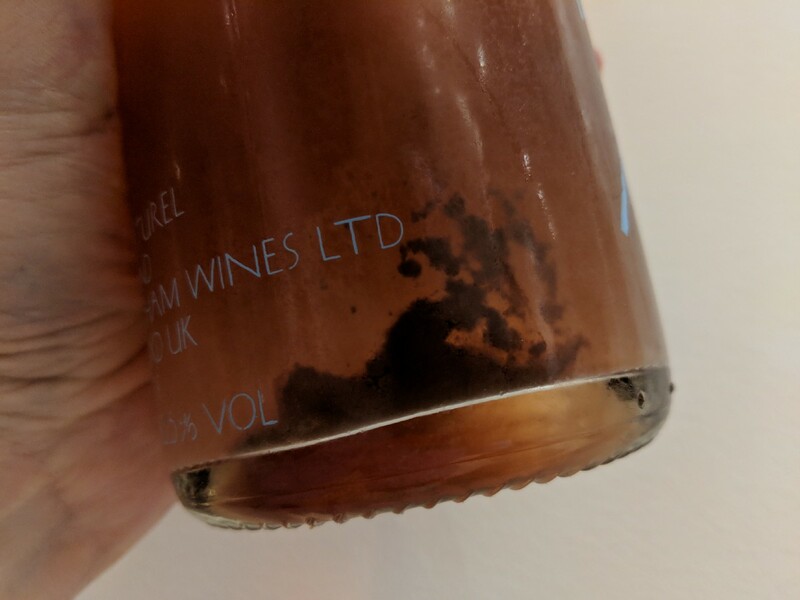 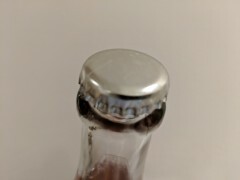 Undisgorged - so has some sediment.